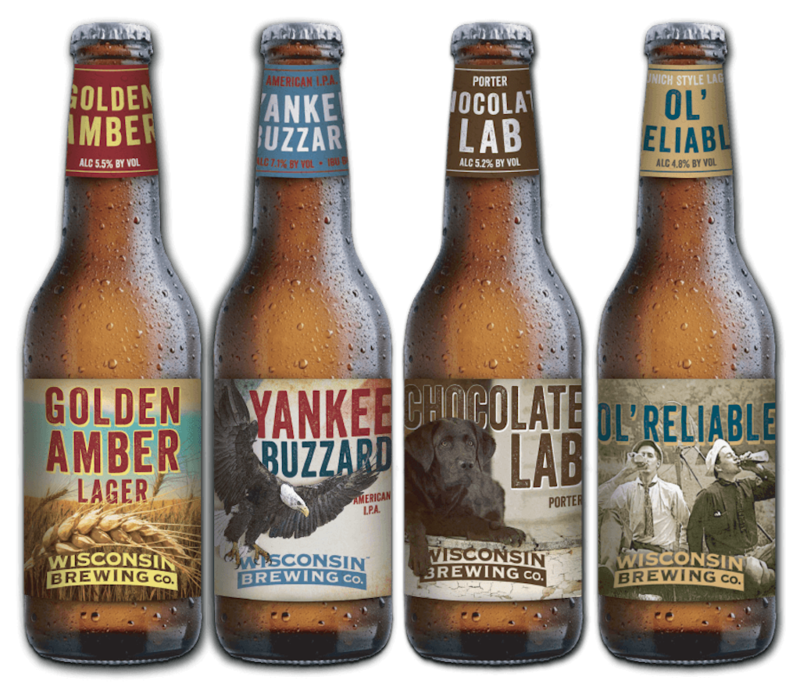 Milwaukee – The Milwaukee Rugby Sevens Association announced today that the Wisconsin Brewing Company is returning as the official beverage provider of the 2015 Lakefront 7s rugby tournament. The historic Milwaukee rugby event — the largest of it’s kind in the nation — will feature Wisconsin Brewing products exclusively at the dedicated beer tent and throughout the venue with a mobile concession stand. 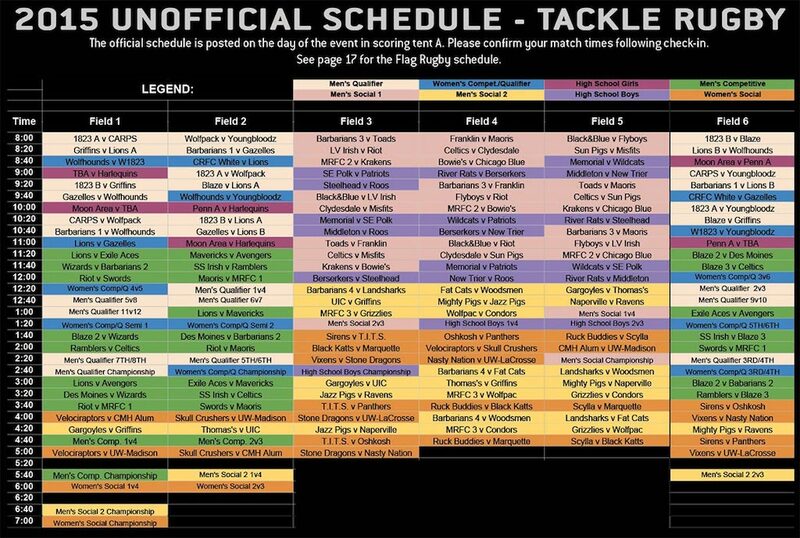 The unofficial schedule for the 2015 Lakefront 7s is now available (see above). 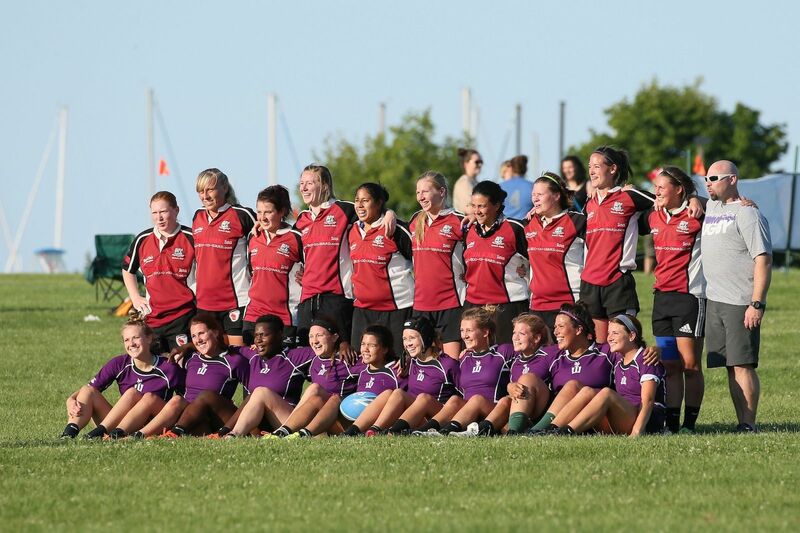 The Men’s and Women’s qualifier pools for the 2015 Lakefront 7s have been set by the Midwest Rugby Football Union. 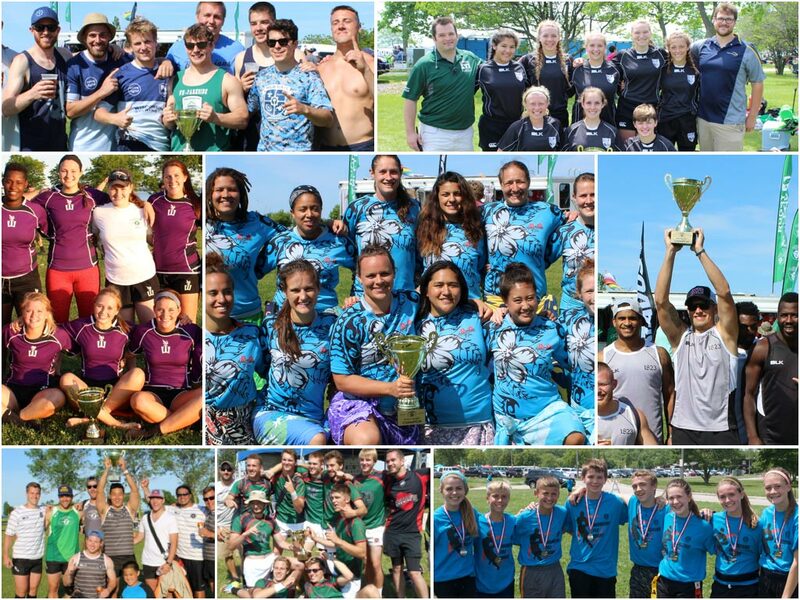 As you can see above, the top 3 Mwen’s teams from Madtown 7s — the first leg in the Midwest Qualifier series — have each been assigned to one of the 3 pools. Milwaukee – The Milwaukee Rugby Sevens Association announced today that Johnsonville Sausage, LLC will be the official supplier of Bratwurst, Brat Patties and Grillers for the 2015 tournament. Johnsonville returns for a second consecutive year as a sponsor of the Lakefront 7s, a local sporting tradition in the Midwest that attracts an average of 150 rugby teams to Milwaukee each year since 1982. The Milwaukee Rugby Sevens Association is proud to announce that they have donated shirts and a few jerseys to the upcoming Wisconsin Boys High School State Championships. The Championship will be held on Saturday, May 30th at Schneider Fields at St. Norbert University in De Pere, Wisconsin. The event features 30 teams from both the Badgerland and NEW conferences with both Division 1 and Division 2 matches. 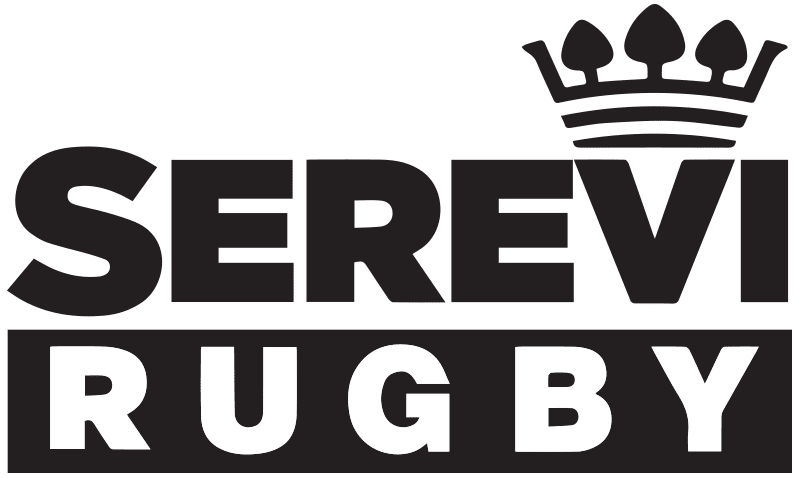 Milwaukee – Lakefront 7s has recently signed Serevi Rugby as a Gold-level sponsor for its 2015 event. Today we are proud to announce the inaugural Papa Joe Golf Outing! This first event will be held on June 26, 2015 at the Silver Spring Country Club in Menomonee Falls, WI. It celebrates the life and accomplishments of one of the most influential people in the history of rugby in Wisconsin: ‘Papa’ Joe Kloiber.